It's something of a first successful mashup of files for me. I tested it and it seems to be working, both blended and poured drinks can now be prepared and bartenders spawn properly on community/hotel lots. 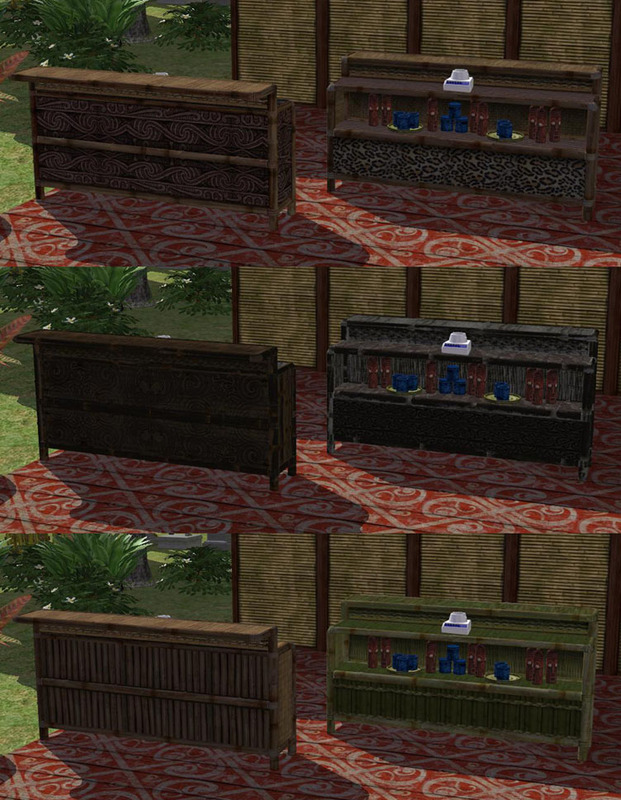 If you have the extracted and converted Castaway Stories objects from the Peasantry forum of MATY, you might know that not all the conversions are perfect, or in this case, the item lacked functionality in the Castaway game and that carried over to the real TS2. I have added the blender base to the mesh and updated the BHAVs so that this bar works like any other Nightlife bar. It should require Nightlife or later. Any testing is appreciated. Although it has a different GUID from the MATY one, you might want to get rid of "cs_bar.package" once you install and test this one, as the graphical components are more or less identical. *UPDATED* January 29, 2014 - My initial selection of the blender base mesh was sloppy and I had deleted some faces I shouldn't have. 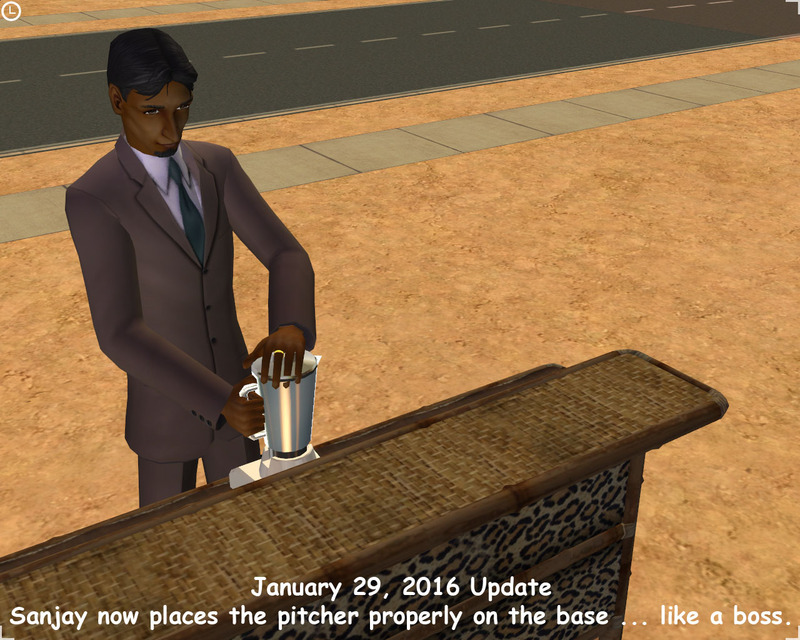 *UPDATED* January 29, 2016 - The blender base is now in the right place for the animation. I had used an edit of a base game mesh for the blender base. I assumed the placement was the same for all bars, but upon closer inspection my assumption was wrong. An issue this had inherited from the MATY version was that it caused the Seasons tiki bar, which uses the same mesh, but different mapping, to pick up all of its recolors. This is now fixed too. *Please re-download. * Thanks. Please do not charge for, or otherwise restrict access to, my uploads or anything derived from them, but I invite modification and further development of any of my content. Due credit is righteous and appreciated, but I have neither the time nor the interest to track anyone down who fails to observe this guideline, credit me at your own discretion. Other than that, do as you see fit. YAY - it's usable now Thank you!